DEATH’S HEAD IS BACK, YES? Last year, did you know, marked the 25th anniversary of Death’s Head, the bounty-hunter (um, freelance peacekeeping agent) I co-created with artist Geoff Senior. An anniversary that sadly passed without so much as a ripple of acknowledgment. But that’s all set to change for 2013! 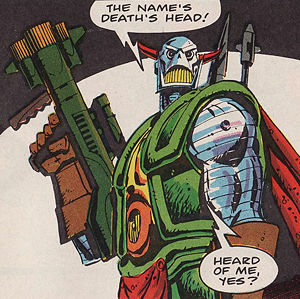 From humble beginnings (as a bit-part player in issue #113 of Marvel UK’s Transformers comic… not to mention his solo debut in the one-page strip “High Noon, Tex”), ol’ Death’s Head has featured in his own comic (and original graphic novel), guest-starred in Doctor Who, Dragon’s Claws, She-Hulk, Fantastic Four, and others, graduated (or regressed, depends on your point of view) to Death’s Head II and Death’s Head 3.0, and spawned various little Deaths (Metal, Wreck) along the way. And he’s still going strong! After his support role in the tragically short-lived S.W.O.R.D., writer (and all-round nice/talented guy) Kieron Gillen is now featuring him in none other than Iron Man! Yep, Death’s Head is back… with a vengeance! Throw in a cameo in Avenging Spider-Man #17, a HeroClix figure and a Marvel Universe action figure, and 2013 is set to firmly re-establish Death’s Head in the Marvel Universe. Do not — repeat, do NOT miss an issue of Iron Man. You can check out the preview of issue #9 here. THE 2013 CONVENTION TRAIL STARTS HERE! Already, my convention/personal appearance schedule for 2013 has filled up like you wouldn’t believe. Last year was busy, what with the release of Regeneration One and my induction into the Transformers Hall of Fame, but if anything 2013 is shaping up to be even busy-er-er. And it all kicks off next weekend (23-24th Feb) at London’s Excel with The London Super Comic Convention. After its hugely successful debut last year, the LSCC roars back for 2013 with a pro guest list so rammed it’s almost beyond belief. I’ll be there on both days, with my own spot in Artist’s Alley, and (as usual) I’ll have a full complement of signed scripts, comics, comic/script packs, TPBs and more, including some very, very exclusive packs that will only be available at LSCC. As well as being around all weekend for signing and chatting about what’s coming up for me in 2013/2014, I’m also featuring on the pros vs fans quiz on the Sunday, so if you want to see me display my abysmal general comics knowledge, make sure you grab a seat for that. 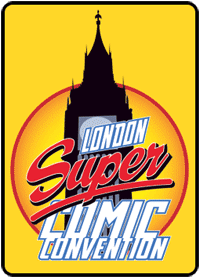 For more information, check out the LSCC site here. And, after that, I’m in Belfast as part of w5’s Robot Nation weekend (March 09-10), Edinburgh at the Toy & Comic Mart (April 20), Wales Comic Con (April 28) and Derry’s 2D Festival (May 31-Jun 02). And that’s just the first half-year! More details on all of these (and more) as they get closer. 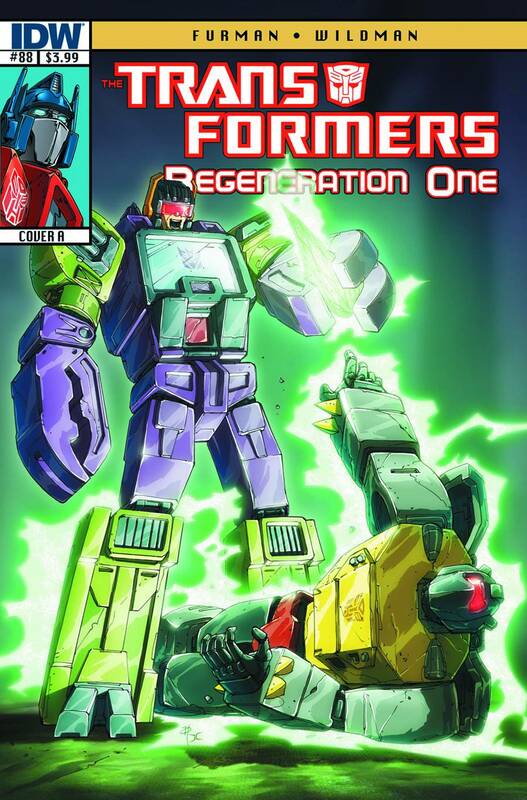 As a slight addendum/update to the last post, my commentary on the first five pages of Transformers: Regeneration One #88 is now live over at the official Transformers facebook page. Once again, just shy of its release date (Wednesday Feb 13th), another of my patented teases of what’s to come, this time in Transformers: Regeneration One #88, the third part of the game-changing ‘Natural Selection’ arc. As usual, be warned, though I try to be as oblique as possible in these rambling digressions on what went into a given issue and why, there are inevitably minor spoilers, so please cease and desist now if you prefer to indulge without a single preconception. So, if you’re a fan of multiple plot strands advancing more or less in tandem, there’s a whole heap of ’em to enjoy in RG1 #88, as we not only have Scorponok (back) on Cybertron, rapidly bending Hub Capital Iacon (and its inhabitants) to his will, we also have Hot Rod on a (potentially lethal) voyage of discovery in the depths of Cybertron’s ancient interior, and more on the Bludgeon/Soundwave alliance and a hint of what that means to the future of Regeneration One. Oh, and I’ve squeezed some more Galvatron-Starscream-Shockwave stuff in there too, just in case you’re still feeling short-changed. As we’re kind of the mid-point of the whole arc, things really start to accelerate, with Scorponok’s endgame revealed, his spider-fly relationship with Grimlock highlighted (how’s the big ‘G’ going to get himself out of this one? ), and a major discovery right at the heart of Cybertron itself that is utterly pivotal (with a capital ‘P’ for…???). Drama, danger, action, mystery… this one really does have it all. And keep an eye on the official Transformers facebook page too, as there’s an exclusive (first five pages) commentary by me lurking in the wings. Update, official IDW preview is now live. You can check it out here. The latest issue (#32) of Titan Magazines’ showcase ‘Totally…’ series is out this week (7th Feb), featuring none other than Matt Hatter Chronicles, the hit CITV and Nicktoons series that I’ve been heavily involved with as both lead writer and series one and two script supervisor. Totally… Matt Hatter Chronicles has all-new comic strip by me and artist Zak Simmonds-Hurn (one of the amazing concept artists from the TV show), and features an all-new villain in the shape of the winged Icarus. 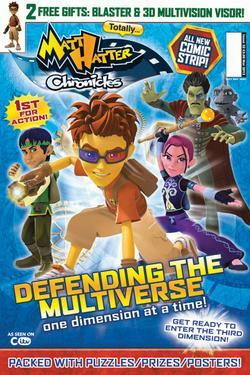 Plus… well, just about everything you need to know about Matt, the Multiverse, and the amazing characters he meets. And, the Totally issue is just a precursor to the ongoing Matt Hatter Chronicles comic that debuts in August. For more information, check out the Titan Magazines website here. And for more on the Matt Hatter TV show, check out the official website here. You are currently browsing the simon furman blog archives for February, 2013.